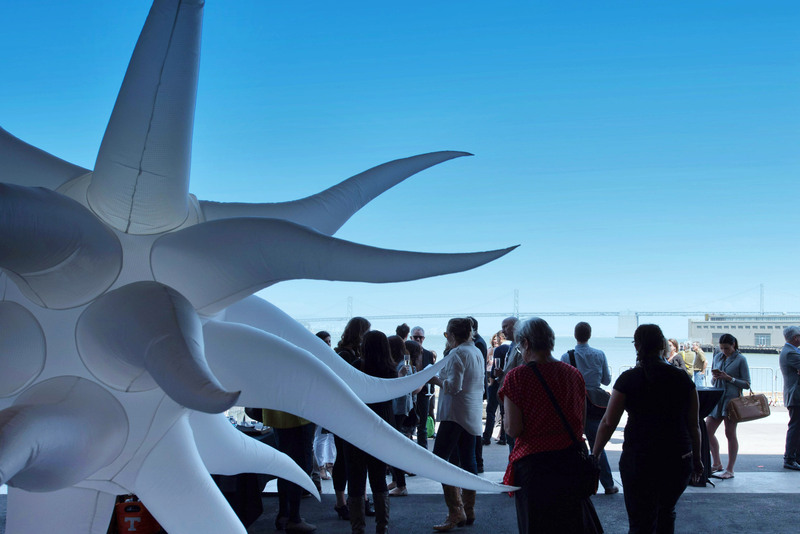 On the evening of June 4, over 2,500 people gathered at Pier 27 for the start of SF Design Week. 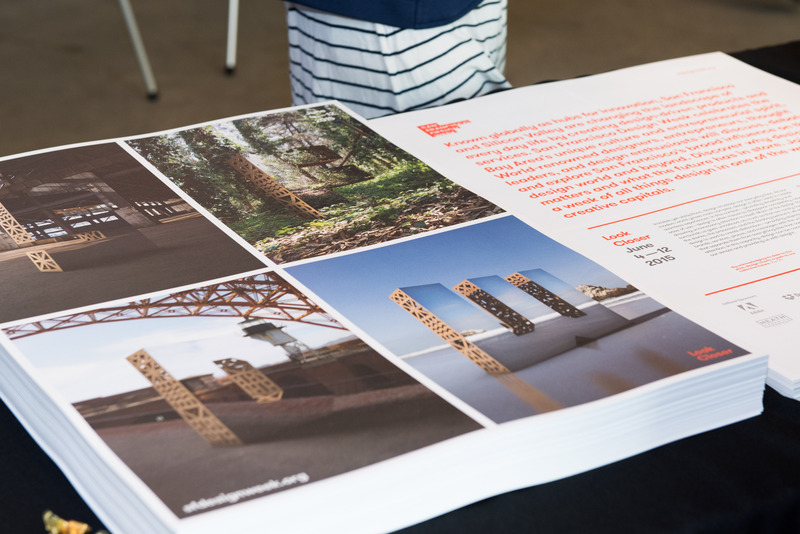 The impressive cruise ship terminal transformed into the center for all things design, where lighting and furniture met interactive play, and guests mingled amidst the monolithic letterforms of SFDW and played digital ping pong thanks to Gensler. “To design something is to make a series of decisions that shape an experience for someone.” Wise words from master of ceremonies Robert Brunner, founder of Ammunition (named Most Innovative Design in 2015 by FastCompany) who greeted an audience hungry for design. Airbnb environmental designers Aaron Taylor Harvey and Rachael Yu shed light on the company’s culture. At Airbnb, an office is more than just a place to work, it’s an extension of culture. The two creatives spoke about the role of design at Airbnb and gave the crowd a peek behind the curtain. 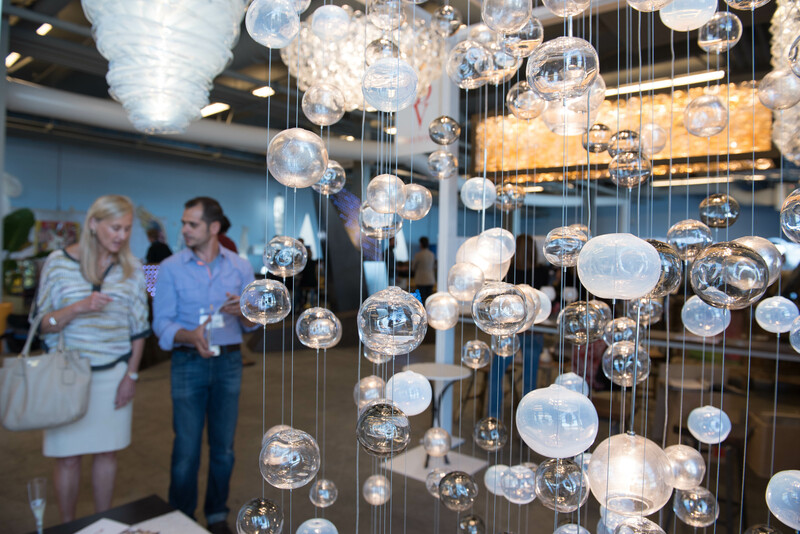 For two days the SF Design Week Hub with WestEdge SF gave design fans a place to converge. 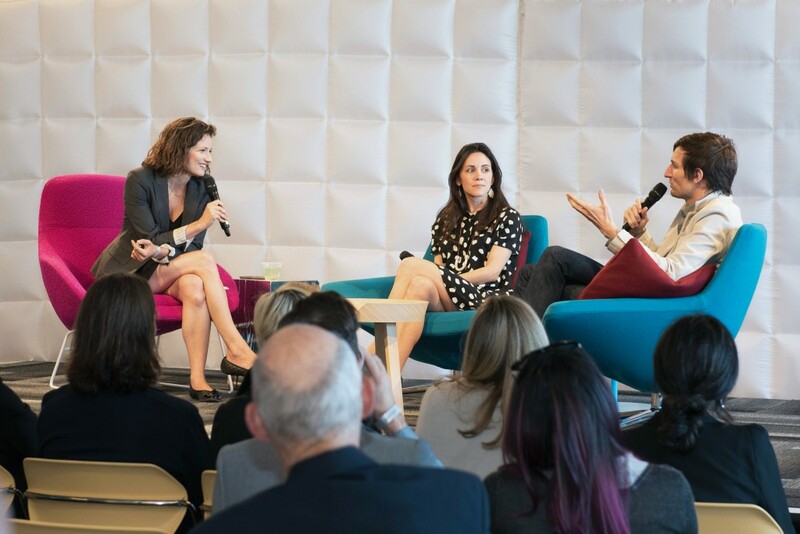 Highlights included Elle Décor’s Built to be Sold, a panel discussion moderated by Ingrid Abramovitch that focused on brand building, showrooms, and craftsmanship; Designing for Installations by Sheet Metal Alchemist; and a chance to meet the team behind the building of Pier 27. Now design aficionados will head out to different corners of the Bay Area and be inspired by landscape, interior, furniture, graphic, product design and more. One of the more popular series, Studio Tours, began on Tuesday. And with more than 12,000 people registered, it confirms that San Francisco is one serious creative hub. Design is all around us, shaping our world and all of its structures. Sometimes we just need a glimpse behind the scenes to really appreciate and understand it. This is the story behind the Look Closer campaign created by Character for SF Design Week 2015. It’s time to look closer and celebrate Bay Area design.